I bear the saddest news. It seems the English have taken Michael Collins. I watched him rifling one into the back of the net for the Everton’s FA Youth Cup side, mobbed by fellow blueshirts. Moments later I was on his twitter page, shocked to find that he has left behind his Irish heritage, thrown in his lot with the English. He’s too far gone lads. They have taken him in body and mind. He’s already sharing photos of his abs and looking for someone to join in his snapchat stories. All is not lost, we still have Max Murphy, he’s alive and well and playing for Stoke City. I hear Steve Coogan is on the way back to us too, Irish passport in the post. Good man Steve. It’s a difficult station for the Irish-ish. Word on the street is that out at Green Acres retirement home, things are still very tense around dinner time. Quinner has come over all Tony Robbins, telling Mick he has to”awaken the giant within”, telling him “Food is the medicine we don’t know we are taking”. Mick still wouldn’t eat rice for a week. Cas still thinks he might come back to us, thinks we should try one more roll of the dice. We arrive at the International break just a few days after the last Irish captain in the FA Youth Cup has fallen. On St Patrick’s day, of all days, Ryan Cassidy lived out a childhood dream and scored into the Kop end at Anfield. It was the semi-final, and not enough to carry his Watford team into the final, they lost 2-1. It’s not an exaggeration to say he carried the team, as captain, scoring two goals in each of the three previous rounds. 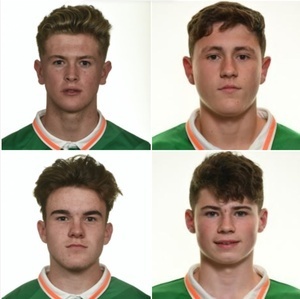 This is just one small part of the significant firepower that Irish youth football has at it’s disposal. 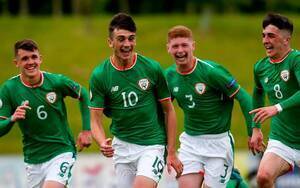 All Ryan’s exploits didn’t even get him into the U19 squad for the important Elite qualification phase in Russia, only into the Irish U18 team playing a friendly double-header against Turkey. My thoughts in these matches are often with the players who don’t make it. We have the injured Aaron Connolly, who was the reserve premiership top scorer before his hamstring went. He was soon replaced by another Irishman, Adam Idah, who has been pulled up to the Irish U21 team. The 17 year old captain of Stoke City’s Under 23 team, Nathan Collin, scored a goal on his last outing, but injured himself and won’t make it to Russia. Then there is Glen “The Goal machine” McAuley, who has spent the year fighting for his place on the Liverpool U23 team after two years as top scorer for their U18 team. It’s been tough. Tough to get game time and tough to score when he has. He’s managed three goals in cup competitions, but none in the league. Yet he has managed two Man of the Match awards this year. He is a prodigious talent, he scored the goal vs Slokavia that qualified Ireland as Under 17s to the finals in England last year. Reminiscent of Zidane’s first senior goal for France, where he slaloms left and right without even touching the ball to beat the first two players. Great players do great things without thinking, the very best can do them without even touching the ball. McAuley is a fighter, for his goal, he wins ownership of the ball without having any right to it. Feigns right, then casually sidefoots the ball into the goal past the back-pedalling ‘keeper. One touch, temporary immortality achieved, for a few years, you would think. Yet, he still hasn’t made it to Russia. The thing is, it’s a viciously competitive arena, youth football. It’s full of promise, not only your own dreams, but family, friends, loved ones. There isn’t much room for a u-turn, so everyone keeps on going. Nothing has the potential to crush like punctured expectation. Who would be a Troy Parrott, a Ryan Cassidy or a Glen McAuley. Or a host of other names, celebrated, but soon forgotten. We have Irish youth football teams lining out this week at U21, U19, U18 and U17 levels.Let’s cheer them on, but also hope they get support in years to come for all their hard work and sacrifice. I’m guessing success is the easy bit…. 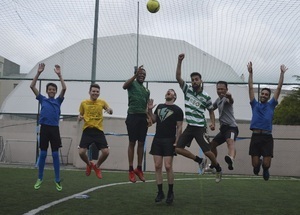 …My interest in football this year has been rekindled by a 5 a side football group (above) I set up in Porto. Football, and all sport is a way we have to share our playful nature. I’ve always found it’s a great way to know people, and get to know people. It’s the little things, like those in our group that have given others a spare room, or helped someone find a job, that makes it seem worthwhile to me. My wish for these brave young footballers, is that football always supports them, even in these small simple ways. 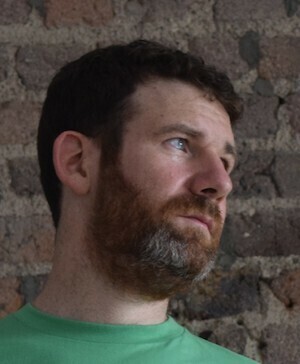 Luke Brennan is an Ireland born, Portugal-based writer, entrepreneur and sports fan. 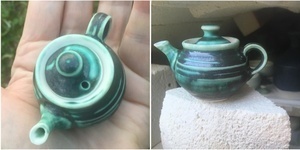 Posted in Misc and tagged Luke Brennan at 10:39 am on March 20, 2019 by Luke Brennan. End the Granny Rule. It’s a joke. My granny was only on the floor for a few seconds, I can still eat her! Your granny was clearly offside. Even a woman could see that. I have absolutely no idea what he’s talking about.